❀ Valid for our Beginners courses (Level 1) starting in September 2017 - Bondi or North Sydney. 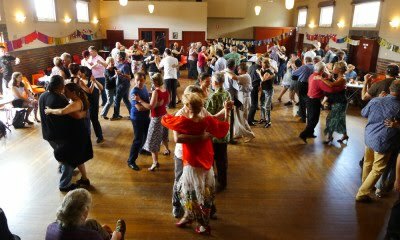 Available only for MeetUp members attending our Tango Meetup at Marrickville on Sunday July 23, 2017. To secure this offer - 50% deposit ($60) must be paid in cash at the end of the class or by bank transfer before the end of July 23. balance can be paid at the first class in cash (or by bank transfer prior to the first class). Click here for bank details. Free entry to the Tango Party extends to the partner you registered with for your tango course.